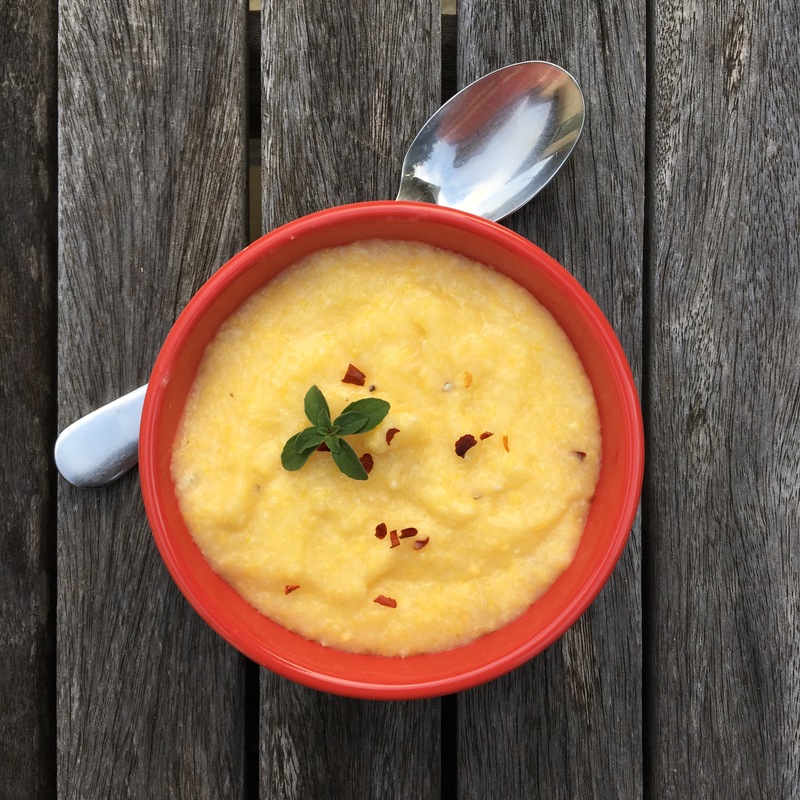 Polenta is the perfect dish for a brisk winter’s morning, especially when it’s creamy with cheesy goodness! I like to top mine with a sprinkle of red pepper flakes! Start by boiling water in a small saucepan. Add in your grits and let cook together, stirring every few minutes until thick and creamy. Stir in the butter, salt, and pepper. Last, toss in the cheese and combine until smooth and creamy, eliminating any remaining cheese chunks or clumps. Taste and adjust seasoning to taste!